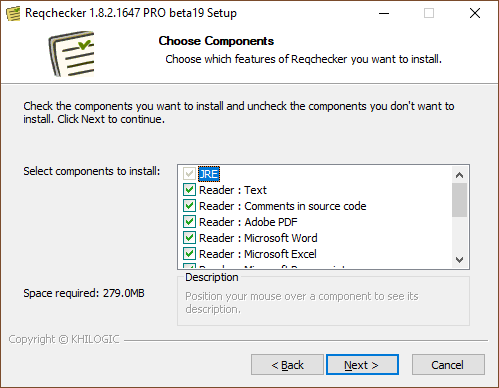 This section presents how to install REQCHECKER™ PRO. (optional) Internet connection to receive update notifications. 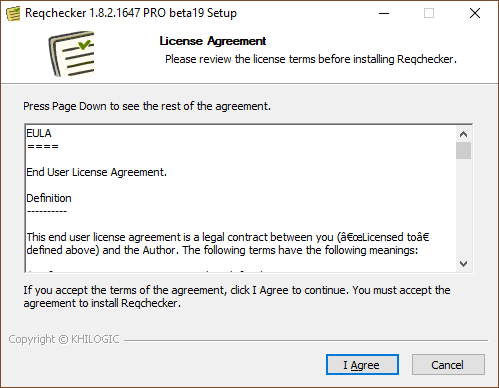 REQCHECKER™ PRO Standard Setup is standalone, certified free of viruses and digitally signed. You must backup the setup file for future installation. A trial version is available for 7 days until licence activation. This procedure is only available if you have not ordered REQCHECKER™ and want to order it from your computer. You will be redirected on KHILOGIC Paypal payment page. You will receive the activation key by email in a few day. You can use the software until you receive it. This procedure is only available if you already ordered REQCHECKER™ by another way (reseller etc.). Fill the mandatory fields. Your computer hardware key is automatically filled (8 characters length string like 5D27B61A). Click on I'm not a robot check box at the page bottom. Click on Send button at the page bottom. 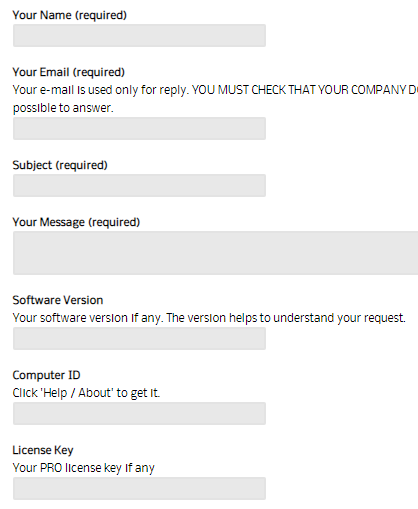 Ask you IT department to get the floating licence key for your company. The floating license syntax is http://<sglm_server_address>:<port> where: sglm_server_address is the IP address or the network name of the server that hosts the SGLM license manager, port is the network port selected by your IT department. 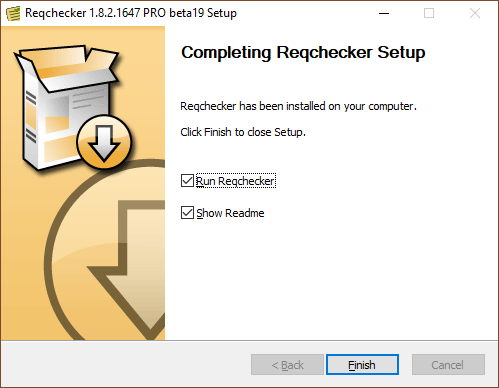 If REQCHECKER™ PRO CL is deployed on physical computer, please follow REQCHECKER™ PRO Standard - With order. 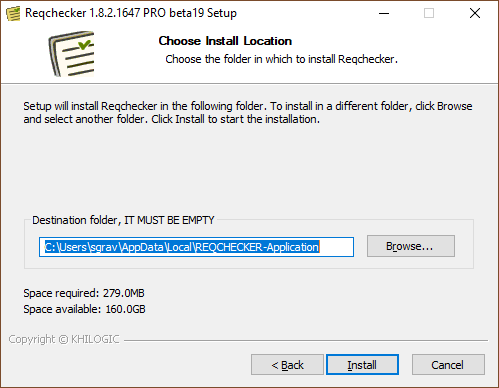 If REQCHECKER™ PRO CL Floating is deployed on virtual computer (VMWare, Virtual Box etc. 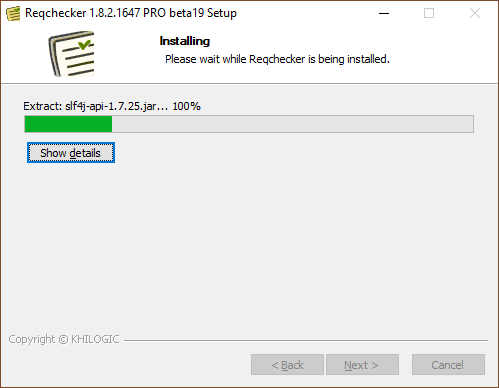 ), please follow REQCHECKER™ PRO Floating. The activation key is either a 13 characters length string like R5FZ4VEHHMFXS for node-locked license, or an http link for floating license.